These four elements were chosen because they constitute four important fields in the fight against poverty and social exclusion. It was attended by 124 delegates with experience of poverty from the EU Member States and approximately the same number of representatives of national governments, the European Commission, European non-governmental organisations and social partners. 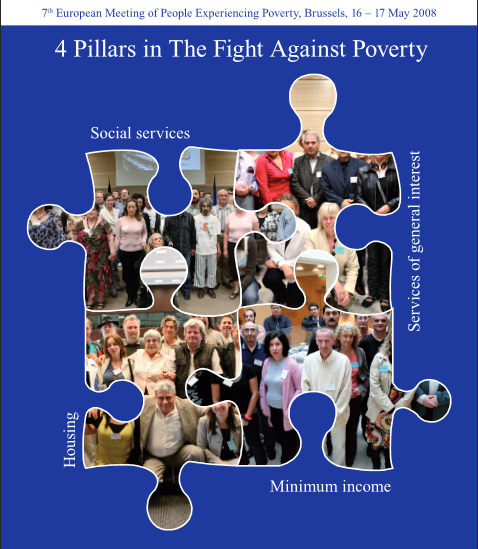 Read the full report of the seventh European meeting of people experiencing poverty which took place on 16 and 17 May 2008 in Brussels under the Slovenian Presidency of the EU.